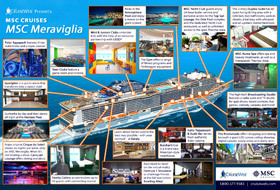 Embark on a virtual tour of MSC Meraviglia, the next state-of-the-art cruise ship from MSC Cruises. She debuts this June, but is on sale now! This summer, Norwegian Cruise Line is expanding its theatrical dining experience with the introduction of three new-over-the-top acrobatic dinner shows! 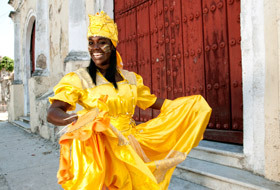 Enjoy the sights and sounds of Cuba on Royal Caribbean's Empress of the Seas, now with new 4- to 5-night sailings departing from Tampa, Florida and calling in Havana, Cuba. 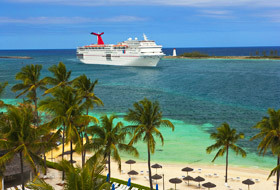 Following a multi-million dollar renovation of her restaurants, bars and play areas, the 2,052-passenger Carnival Sensation is back at sea with 4- and 5-day cruises from Miami. 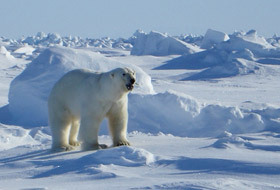 Following the outstanding success of Crystal's 2016 Northwest Passage voyage, the cruise line is set to venture into the northern polar region once more with a comprehensive team of Arctic experts in August 2017! 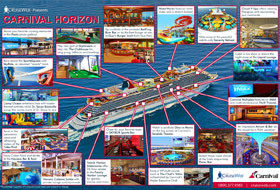 Enjoy our sneak peek of Carnival Cruise Line's next Vista-class FUN ship, Carnival Horizon, on sale now! She will debut in April of 2018, which will be here sooner than you realize! 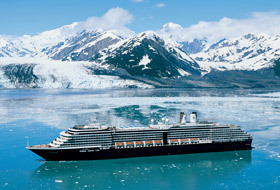 Celebrate Oprah's "Year of Adventure" as Holland America Line and O, The Oprah Magazine kick off an exclusive partnership to explore Alaska and the Caribbean! 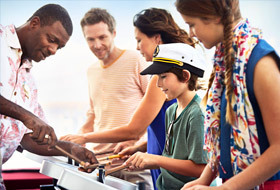 Princess Cruises' new youth programming will feature MythBusters science activities and Camp Discovery destination-themed programs with emphasis on the Caribbean, Alaska and Europe.